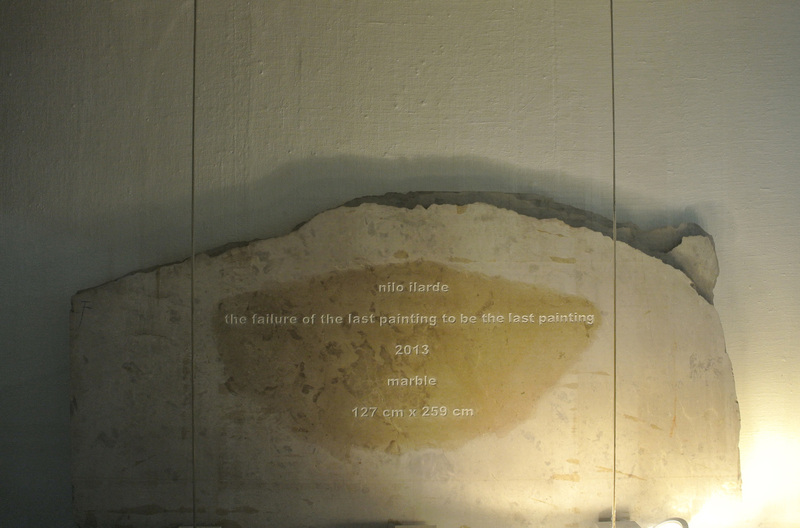 Nilo Ilarde’s current show merges theory with the practices of installation and curatorship. The exhibition can be hardly and simplistically be categorized as one that features his ‘new works,’ implicitly referring to the latter as static commodities: extensions of capital existing within a speculative market for art. 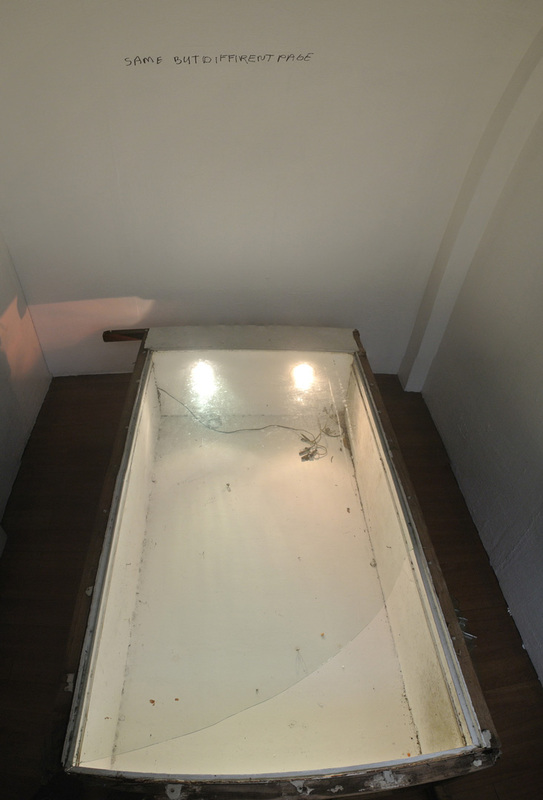 Instead, the exhibition can be recast as a controlled encounter with Ilarde’s fluid and continuous practice as a visual artist. The images in the show are salvaged traces of form and material, space and site—long after they have been displayed and consumed. In this time of angst manufactured, painting dead, and the object dematerialized, Ilarde tests the limits of art practice by revealing the strata of artistic production. He treats the gallery’s four adjoining spaces not as compartments or cubicles to house objets d’art, but as segments to delineate a continuous narrative of questioning. Thus, one comes across artifacts of production, practice and place. 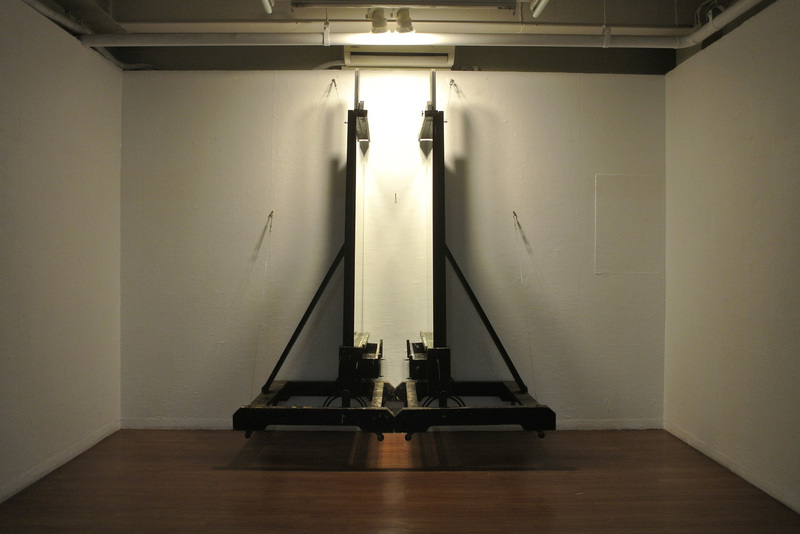 Unused easels, mirrors and a nail—all signifiers of production and display—are arranged to create an illusion of continuity: infinite imitations of a singular presence. 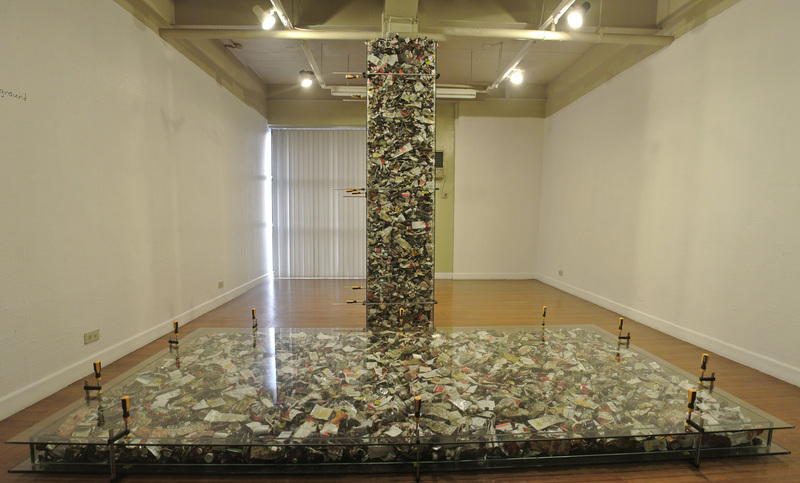 Hundreds of paint tubes consumed and discarded by Ilarde’s contemporaries in the visual arts scene are housed in a pillar and platform, denoting figure and ground. 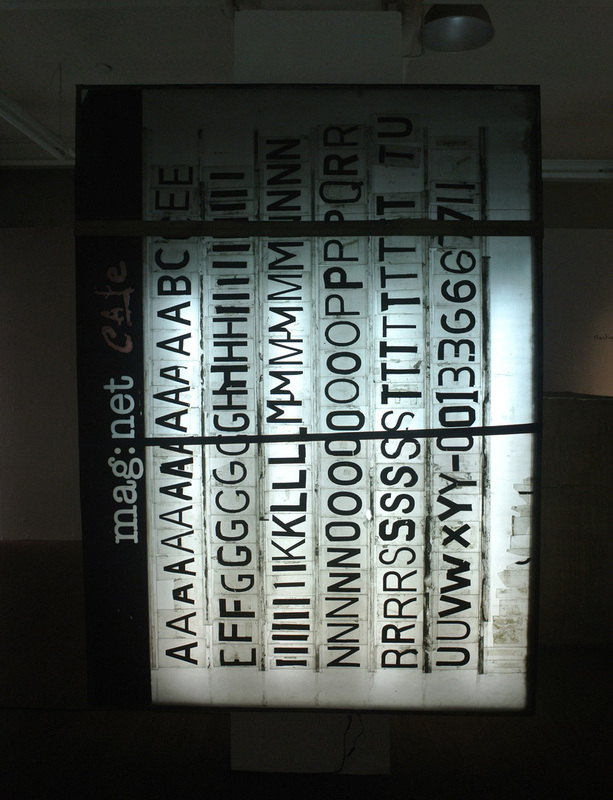 The discarded signage, walls and alcove of another gallery, which closed shop last year after more than a decade of operations, are appropriated here as objects and materials for contemplation long after their utility has ceased. All are residues of production: visual evidence of what remains. Ilarde also reflects on the role of institutional sites that legitimize the practice of art: a slab of raw marble memorializes the passing of what was once held supreme, deified. Nearby, the artist puts on display the actual office space where the gallery’s own administrative, financial and logistical operations are centered. Like goldfish in a bowl, people and papers move around, immersed in the exigencies of the day. 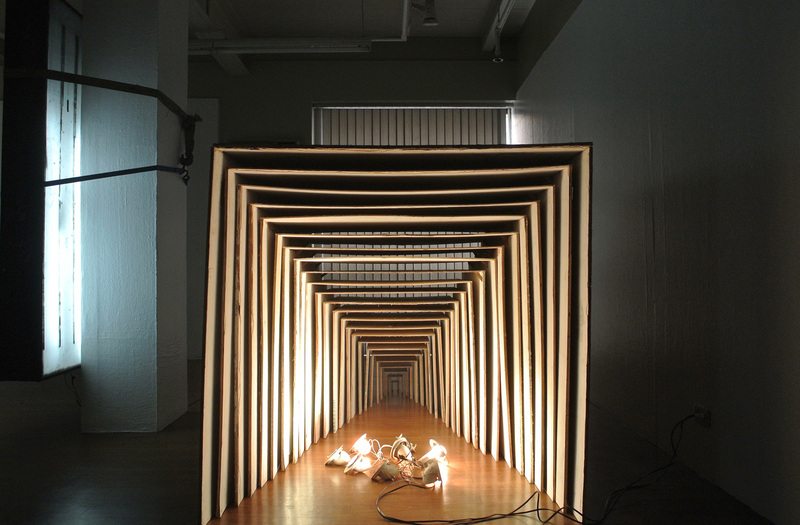 In the end, what remains is Ilarde’s affirmation of art as a transformation of objects, practice, space and vision.